The early universities carried out most of their dissections on animals, particularly pigs and dogs. There were no human dissections in the early period due to restrictions placed by the Roman Catholic Church; cadaveric dissections were introduced in the late 13th century initially for legal purposes – determination of death. These led to the regular use of human cadavers in medical instruction. Later, prisoners who were executed were permitted to be taken for dissection, but no other human corpses were allowed. 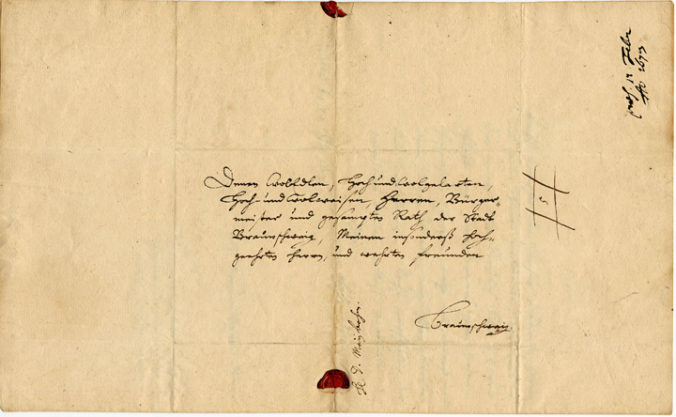 This was still the case in the 17th century and the constant need for human bodies for dissections at the university is quite drastically illustrated by this letter, addressed to the mayor and the council of the city of Braunschweig. It was important to seize the opportunity when there was going to be an execution in the neighbourhood. In Uppsala in Sweden, for instance, dissections at the anatomical theatre were rare indeed, due to the lack of bodies available. Having heard that in your town a child-murderess has been condemned to death, I must humbly beg the worthy gentlemen to be good enough to hand over the body to the dissecting room after the sentence has been carried out. 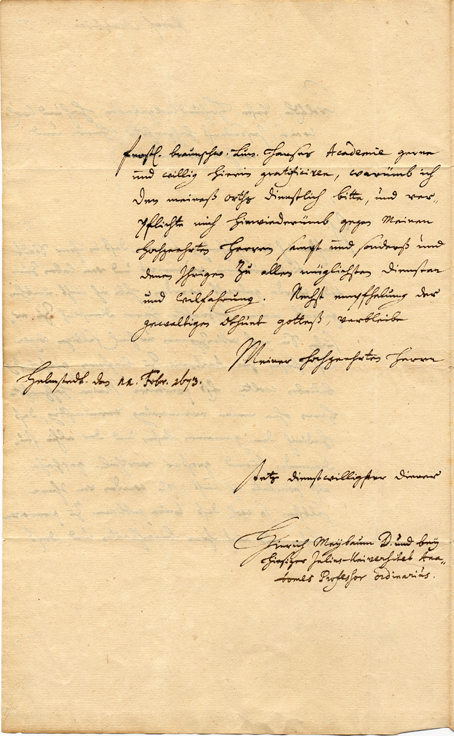 I do not need to remind you that this is for the common good and will be a great advantage to the students; also I do not doubt that you yourselves desire to promote the public welfare and that of your neighbours and will willingly gratify the desire of the Academy of the House of Brunswick-Luneburg and I herewith bind myself to render any possible service to you gentlemen, in return. Heinrich Meibom the younger (1638-1700) belonged to a German family of several distinguished learned men. His grandfather Heinrich Meibom the elder (1555-1625) was professor of poetry and history at the University of Helmstedt and poëta laureatus in Praha. Marcus Meibom (1630-1711) was employed for some time by Queen Christina at her library in Sweden, and later became librarian in Copenhagen (1653-1663). 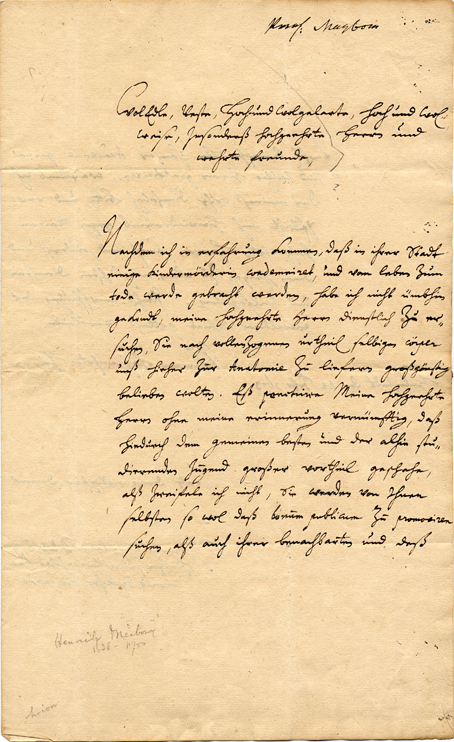 Heinrich Meibom (the younger) was in 1664 appointed professor of medicine at the University of Helmstedt and in 1678 he was also appointed professor of history and poetry. In this later position he edited a great number of his grandfather’s historical works. As a professor of medicine he was regarded to be one of the most distinguished physicians of his time. In 1666 he discovered the tarsal glands, the so called glandulae meibomianae, the sebaceous glands embedded in the tarsal plate of each eyelid.